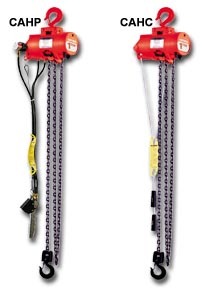 Shop for air hoists at Material Handling Solutions. 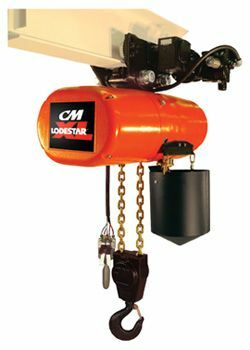 We offer high quality air hoists at low prices. Air hoists are used in a variety of industrial and construction applications. 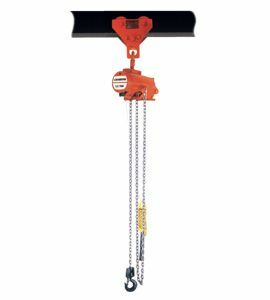 We carry both wire rope air hoists and chain air hoists. 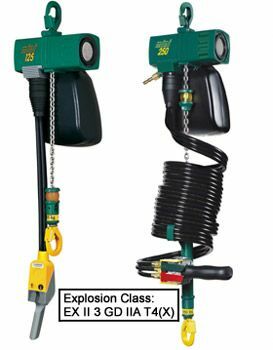 Options available for our air hoist, (depending on your model choice) are: lug suspension, pendant throttle trolley, chain container, plated chain & spark resistant construction, longer lift, longer pendant hoses, low noise muffler etc. We have every option available that you might need for your specific application. Give us a call and we will assist you in finding the best option for you! We are a large distributor of material handling equipment, industrial supplies, office furniture, office supplies, and office electronics. We also carry Gantry Cranes, Jib Cranes and a large selection of different types of Hoist Accessories. 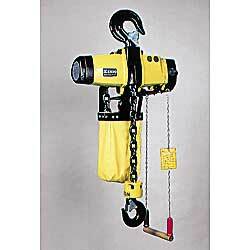 Many clients who purchased hoists also bought. Storage Cabinets, Cantilever Racks and Pallet Racks.